The term Audit is derived from the Latin term 'audire,' which means to hear. In early days, an auditor used to listen to the accounts read over by an accountant in order to check them. Auditing is as old as accounting. It was in use in all ancient countries such as Mesopotamia, Greece, Egypt, Rome, U.K. and India. The Vedas contain reference to accounts and auditing. The original objective of auditing was to detect and prevent errors and frauds. Economic decisions in every society must be based upon the information available at the time the decision is made. For example, the decision of a bank to make a loan to a business is based upon previous financial relationships with that business, the financial condition of the company as reflected by its financial statements and other factors. If decisions are to be consistent with the intention of the decision makers, the information used in the decision process must be reliable. A common way to obtain such reliable information is to have some type of verification (audit) performed by independent persons. The audited information is then used in the decision-making process on the assumption that it is reasonably complete, accurate and unbiased. Audit can be done internally by employees or heads of a department and externally by an outside firm or an independent auditor. The idea is to check and verify the accounts by an independent authority to ensure that all books of accounts are done in a fair manner and there is no misrepresentation or fraud that is being conducted. All the public listed firms must get their accounts audited by an independent auditor before they declare their results for any quarter. Who can perform an audit? In India, chartered accountants from ICAI or The Institute of Chartered Accountants of India can do independent audits of any organisation. Internal Auditors- Internal Auditors are employed by individual corporations, government bodies or other entities. Internal auditors work for the organisation they audit. Their job is to make sure the organization runs efficiently and effectively. They perform financial, internal control, and compliance audits for the employer. External Auditors- External Auditors are also known as Independent Auditors or Professional accountants in public practice. An External Auditor audits financial statements for companies, and other organizations. They also give advice in preparing income tax returns and provides guidance in matters concerning compensation and healthcare benefits for employees. They are usually self-employed. Government Auditors- Government Auditors work in the public sector, they are employed by local and state governments. Government auditors maintain and examine the records of government agencies, and audit private businesses and individuals whose activities are subject to government regulations or taxation. Government auditors main task is to act as assurance on compliance audit and operational audit. 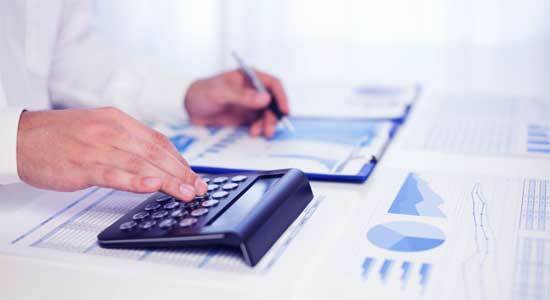 Forensic Auditors- Auditors could specialise in Forensic accounting. Forensic auditors often discover information that's used as litigation support. Forensic auditors' mission is to detect, investigate and deter fraud and white-collar crimes. Forensic auditors are often employees of corporations, audit firms, government agencies and investigative and consulting services firms. To become an auditor, one must have at least a bachelor's degree in Commerce, or in Accounting. Some employers may prefer those with master's degree in accounting. MBA with specialization in finance can also be a right subject choice. Courses in economics, commerce and statistics are also helpful. Some universities conduct specialized courses in auditing. Along with subject specialization, computer literacy is also essential. One must take a course in computer accounting software's such as Tally or some other related diplomas. One can further take up more advanced courses like ICWA, CA, Company Secretaryship or etc. There are plenty of courses are available in the field of Auditing & Taxation. In India, universities offer courses in these fields from diploma to master's level. In this era of digital technologies, auditors need to be good with numbers as well as have the skills to optimise the potential of new technologies and move beyond traditional internal audit methodologies. Therefore skills in IT and data mining, and risk assessment are important for those getting into this field. With the growth in the economy and the number of business concerns boosting day by day, demand for auditors are increasing to ensure the credibility of the financial accounting data and financial statements in the private sector as well as public sector companies. In the beginning, most of the auditors' work under the supervision of an established auditor. After gaining experience they can work independently. In manufacturing sector, insurance companies, banking sector, pecuniary institutions, corporate, financial firms, government service, public sector, teaching staff, non-profit organization and government agency etc. Many auditors carry out their private practice. (IA & AS) is an Indian Central Government service, free of control from any executive authority, under the Comptroller and Auditor General of India. The officers of the Indian Audit and Accounts Service serve in an audit managerial capacity, in the Indian Audit and Accounts Department. IA & AS is responsible for auditing the accounts of the Union and State Governments and Public Sector Organizations, and for maintaining the accounts of State governments. It’s role is somewhat similar to the US GAO and National Audit Office (United Kingdom). The service can be divided into officers looking after accounting and audit issues pertaining to the Union government and the State governments, and those manning the Department's Headquarters. The state accounts and audit offices are headed by Accountants General or Principal Accountants General. They are functionally equivalent; only the designations vary. The Deputy CAGs are the highest-ranked officers in the service. After training, the Officer Trainees are posted as Assistant Accountant General Assistant Directors a Junior Grade Group A later promoted to Deputy Accountants General (DAsG) or Deputy Directors (DDs) a Senior time scale. Subsequent to their promotion, they become Senior Deputy Accountants General (Sr.DAsG) or Directors. All officers below the rank of AG/PD are also called Group Officers as they are generally in charge of a group in the office. *The Institute of Internal Auditors gives Certified Internal Auditor (CIA) designation and ISACA provides Certified Information Systems Auditor (CISA) certification, respectively. CISA qualified Auditors have been recognized as qualified to conduct Systems Audit by Reserve Bank of India (RBI), Ministry of Information Technology (MIT), National Stock Exchange, Comptroller and Auditor General of India (C&AG). Auditing is a growing field, thanks to stricter government regulations, and offers a surprising variety of job responsibilities for those inclined to deal with the details of a company's operations. If liaisining with company management and regulating a variety of business and financial processes appeal to you, consider an in-demand career as an Auditor.